Aloha Dental cosmetic dentistry can not only beautify your smile, it can improve the health of your teeth and make your face more beautiful and younger-looking. Additionally, it can help with TMJ issues, and it definitely elevates your self-esteem! 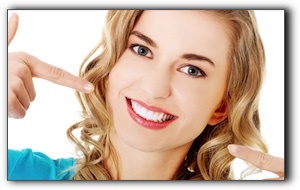 What’s more, cosmetic dentistry is surprisingly fast and virtually pain-free. Why? Because of cutting-edge dental technology and new oral sedation options. At Aloha Dental, Dentist Jason Mandelaris completes dental miracles everyday. Regardless of the number of teeth affected, Dentist Mandelaris re-designs smiles and corrects troubles by skillfully performing cosmetic dental care. Orthodontics are often the solution for misaligned teeth. Even if you have suffered with crooked teeth for years, a short time enduring braces will be well worth it. Perhaps all of this sounds too good to be true. If you are a skeptic, schedule a no-pressure smile redesign consultation today and find out for yourself. Jason Mandelaris will explain how your teeth can be transformed and you can see before and after photos.